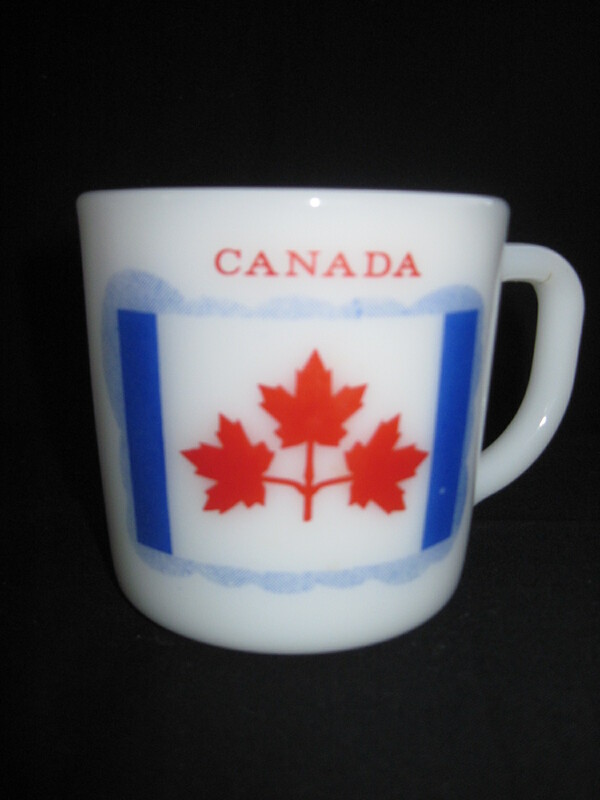 This mug probably dates to 1963 or 64 because that was when the Great Canadian Flag Debate took place. 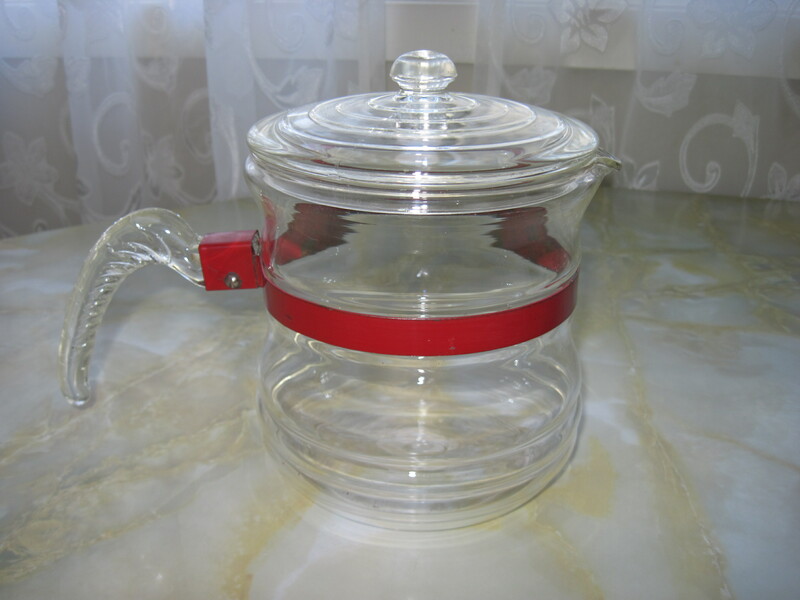 There are no identifying marks on the bottom but it could be made by Glasbake or Federal Glass Co. Both these companies often made mugs with current affairs as the subject matter. This would be a great addition to your mug collection. Found by a very resourceful person who supplies me with unusual and funky fab finds!! The Great Canadian Flag Debate (or Great Flag Debate) took place in 1963 and 1964 when a new design for the national flag of Canada was chosen. Although the flag debate had been going on for a long time prior, it officially began on June 15, 1964, when Prime Minister Lester B. Pearson proposed his plans for a new flag in the House of Commons. It lasted more than six months, bitterly dividing the people in the process. The debate over the proposed new Canadian flag was ended by cloture on December 15, 1964. It resulted in the adoption of the “Maple Leaf flag” as the Canadian national flag. The flag was inaugurated on February 15, 1965 and since 1996, February 15 has been commemorated as Flag Day. Please note this mug is now SOLD!! Sunbeam Mixmaster Model #11, ca 1953- 55. The milk glass bowls were made by Glasbake for the Sunbeam Co. These workhorses were well used by our mothers and grandmothers and have stood the test of time. 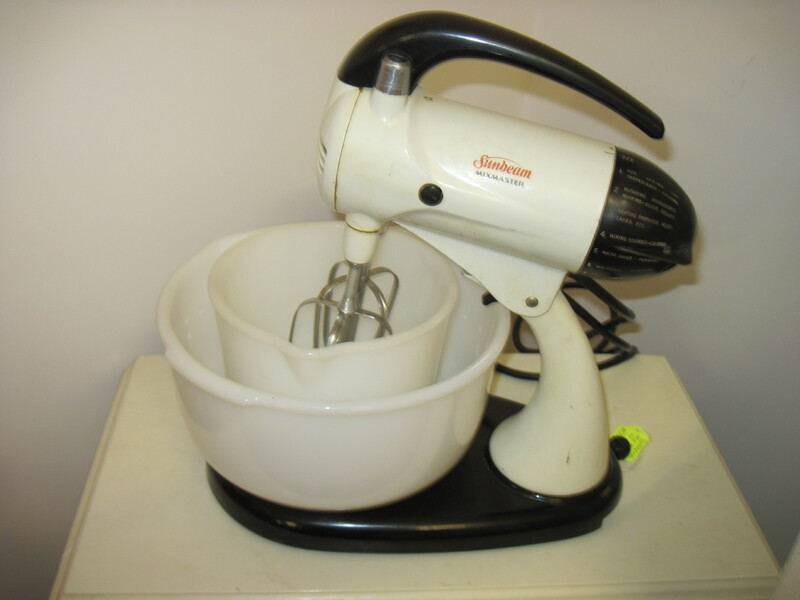 You won’t find mixers on the market today that will last as long as these beauties. They are quite heavy and very solid. This one is for sale at my booth in Almonte. Another rare find. I find Glasbake patterns to be rather tame compared to the vibrant colours on Pyrex bowls, but this one is quite unique. 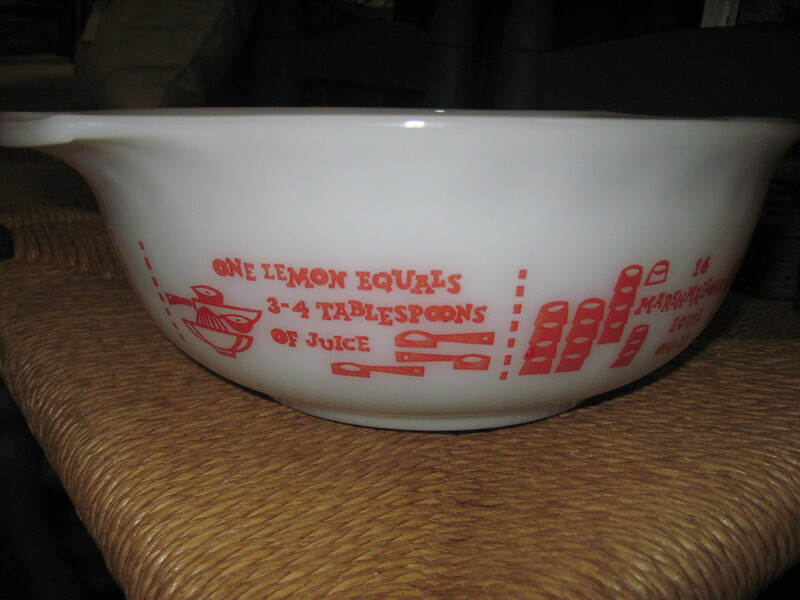 It is the largest of a set of 4 bowls, all of which have interesting tidbits about items used for baking printed all around the bowls. Wish I had the complete set. Alas, this one in not mine either but I do covet it.